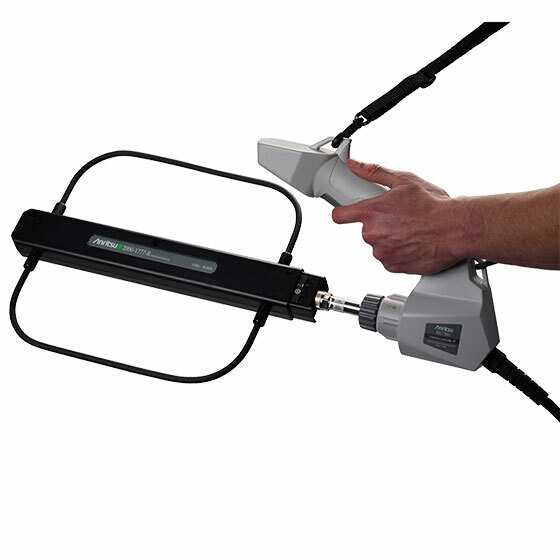 With the MA2700A, a vector line to an interfering signal can be added to a map in the instrument with a click of the trigger on the handle. The user can create compatible maps using the new easyMap Tools. Maps that have been creating using easyMap can be panned and zoomed over a coverage area chosen by the user. The MA2700A is powered over USB so it needs no batteries. The internal preamplifier can be toggled on and off with trigger on the MA2700A by holding the trigger for 2 seconds or by pressing a button on the attached instrument. A filter can easily be installed between the antenna and the MA2700A; this would commonly be a bandpass filter for the band of interest. 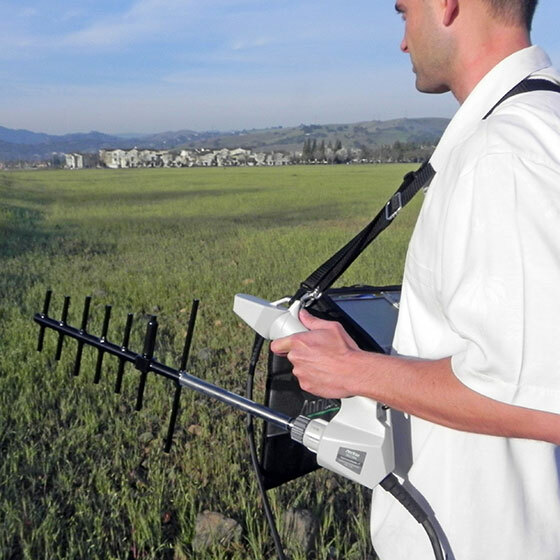 The MA2700A will work with any directional antenna that has a type N female connector at the back end of the antenna boom and either the boom of the antenna is at least 16 cm from the rear most element to the connector or a rear element that is no longer than 7.5 cm for vertical polarization. For using the MA2700A with Anritsu's low-frequency directional antennas (2000-1777-R and 2000-1779-R for example), the grey plastic torque enhancer on the MA2700A must be removed.There is no specific limit for horizontally polarized antennas except for what the user can hand hold. The weight of the antenna needs to be low enough that it can be securely supported only by the attachment to its Type N connector. Anritsu's bandpass filters are equipped with standard type-N connectors. The bands offered cover common cellular uplink frequencies. The filters can be used with or without the plastic housing. Visit the bandpass filters page for more info. Port Extender for use with the MA2700A Handheld InterferenceHunter. 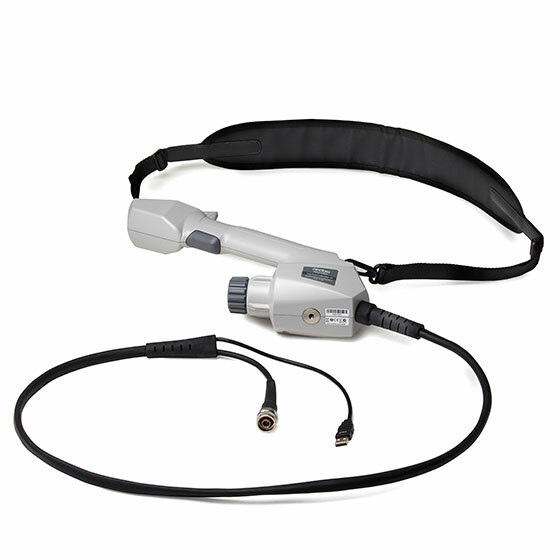 Enables easy connection of vertically polarized antennas to the handle of the Handheld InterferenceHunter. 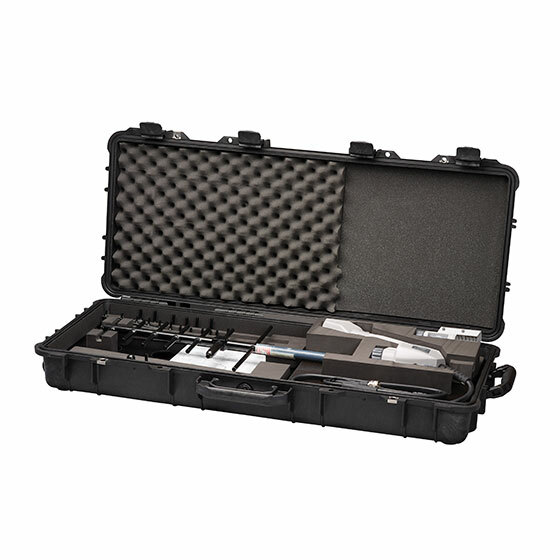 Transit Cases for use with the MA2700A Handheld InterferenceHunter and accessories. Monopad for use with the MA2700A Handheld InterferenceHunter. 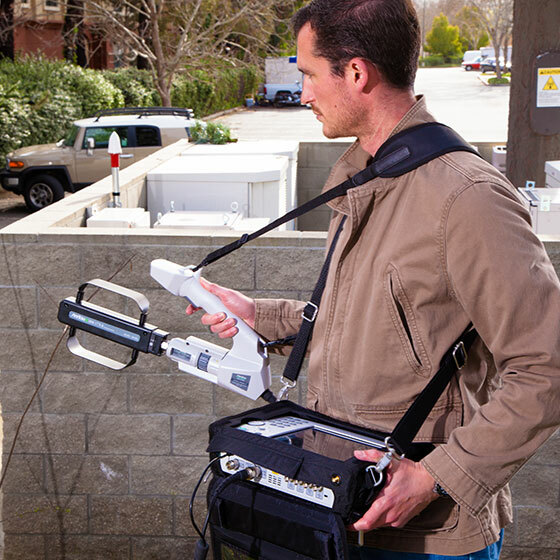 Provides stability and elevation when searching for interferers at ceilings and other high locations. The MA2700A is compatible with the following Anritsu handheld RF and microwave instruments with the Interference Analyzer Option (Option 25). The instrument's GPS option, Option 31, is not used when using the MA2700A since it has a built-in GPS receiver. Purchasing option 31 may still be desirable for location stamping and reference oscillator accuracy improvement when not using the MA2700A.